What a cute design for a Grandparent shirt! 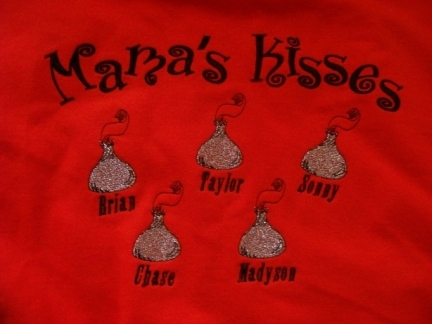 Adorable metallic silver candy kisses adorn this shirt along with all the Grandkids names! Choose grey, black, red, or white T-shirt, long-sleeved T-shirt or sweatshirt in Adult Medium-2X. Please specify Grandparent name (Granny, Mammaw, Nana, etc.) and the Grandkid's names.